Did this sneak up on anyone else? The boys last day of school is Friday and I need to do the teacher gifts from the class, something from the boys for each teacher and what about their swim teacher, arts alive teacher and back up teachers? Why do they have all these activities?! I immediately got on Pinterest for ideas. Here is what I have. Hopefully it will help if you forgot like me. But I am sure you did no; you all are much more on top of things (ahem, gift card tree, Debra). As the room mom, I always give our teachers gift cards. Maybe it is crass, but those ladies wipe a lot of poop for not much money and I want them to have a little extra in their pocket on their special occasions. In my search I saw a cup with the kids fingerprints on it and the tag line “Love your little deers” and I knew I had to use that. Not the cup. No teacher wants anything with the kids fingerprints on them. Sorry, it is the truth. Just ask my teacher text group – Debra, Melissa, Lauren, Joanna and Maria will all confirm. But you guys just know how I love a good pun so I had to use the tag line. 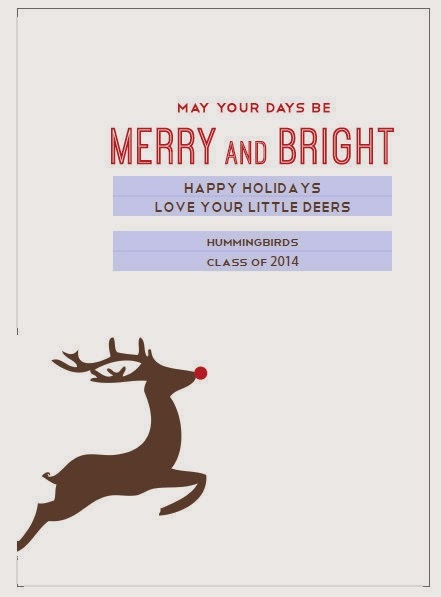 I went searching for a reindeer card and what do you know, I found a super cute one I could type my own wording in. BUT I don’t like to just give a card with the moula, especially for Christmas. I also don’t like to spend much money either (if any), taking away from what will be in the gift card. 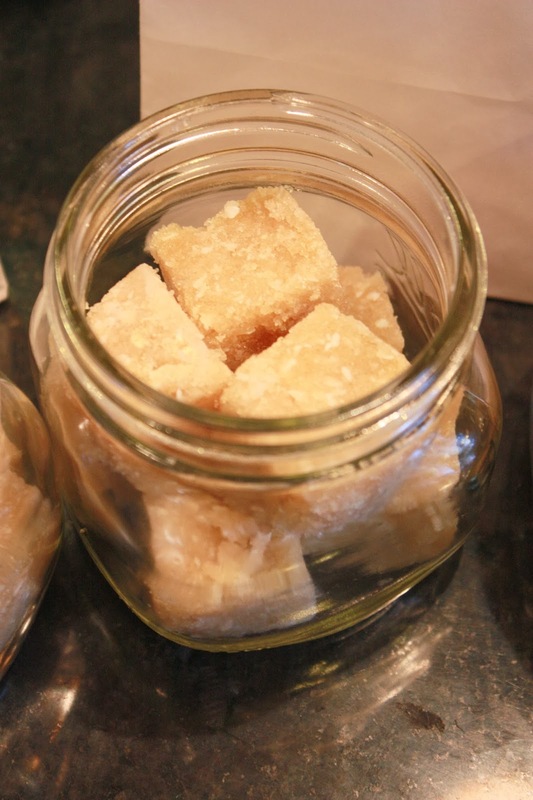 Then I remembered I had a link to sugar scrub cubes on my new favorite blog and I thought those would be perfect. I had all the ingredients on hand and I love to make stuff. I had to stop myself from starting it at 10 pm. Calm it on down, Kinsey. I mixed them up one night (FYI I needed four batches to get 15 cubes) and put them in small canning jars. 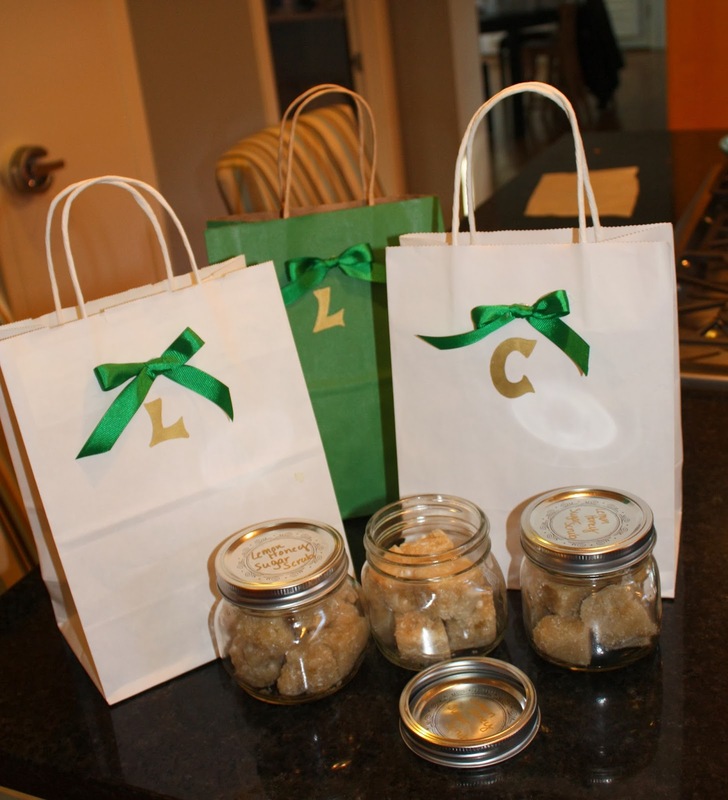 I made mine with honey and lemon, using the amounts suggested by the blogger. They were very easy (if messy) and super cheap. Also, a perfect use for those square ice cube trays I bought back when I was going to make baby food for James. A glue gunned bow, a gold sharpie and we are all set. I found some insulated drink sleeves at Randall’s a few months back and scooped up five of them. 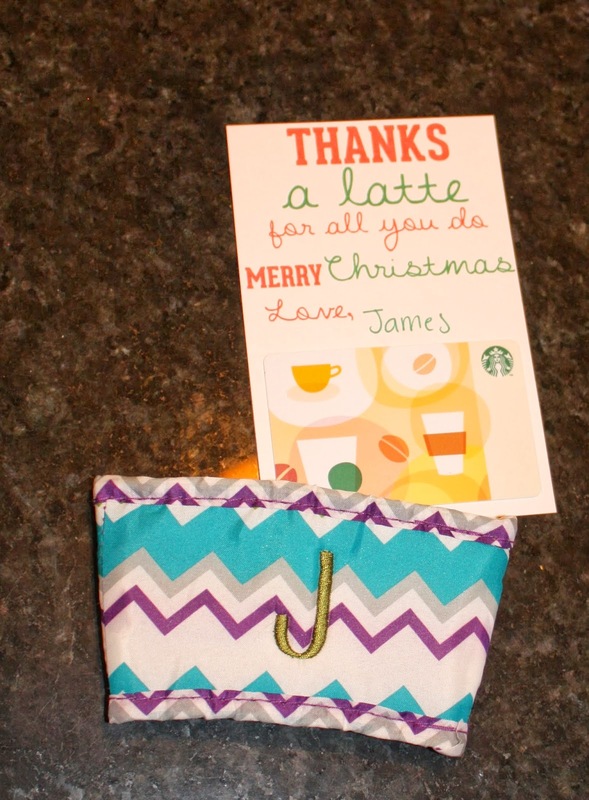 I had them monogrammed with the teacher’s first name (since they use their first name at the school) and gave them a gift card to Starbucks. I printed a few extras of this card for the other activity leaders, coaches and the principal of the school. 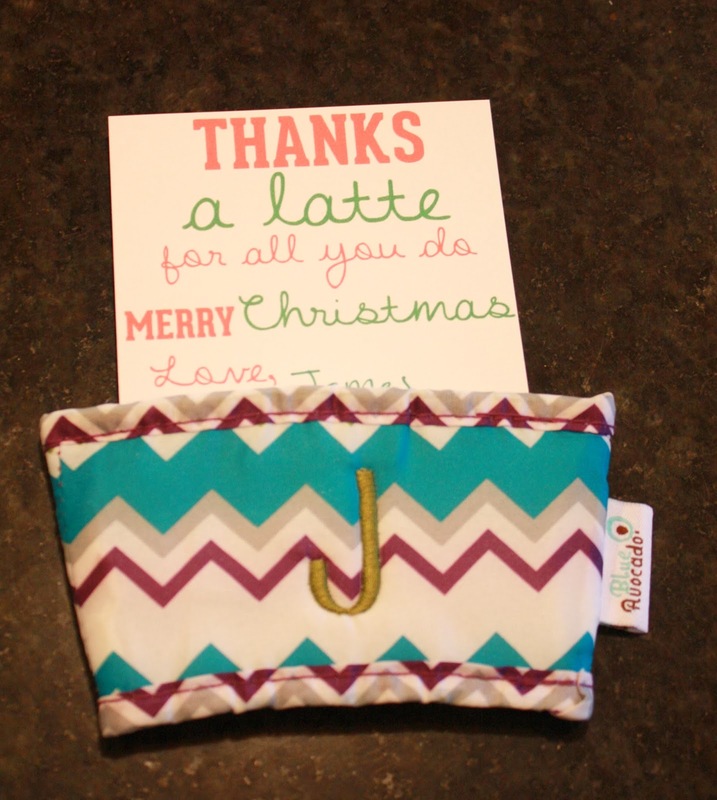 It fits perfectly in a 5×7 envelope with or without a drink sleeve. Seriously though, aren’t all the bloggers who are graphically creative (not just copy cats like me) so nice for putting their stuff out there for free? They are so talented and we can use their gifts. I love it. They also rarely talk about how great they are, which, as you know, I don’t understand. Did I tell you I was famous?